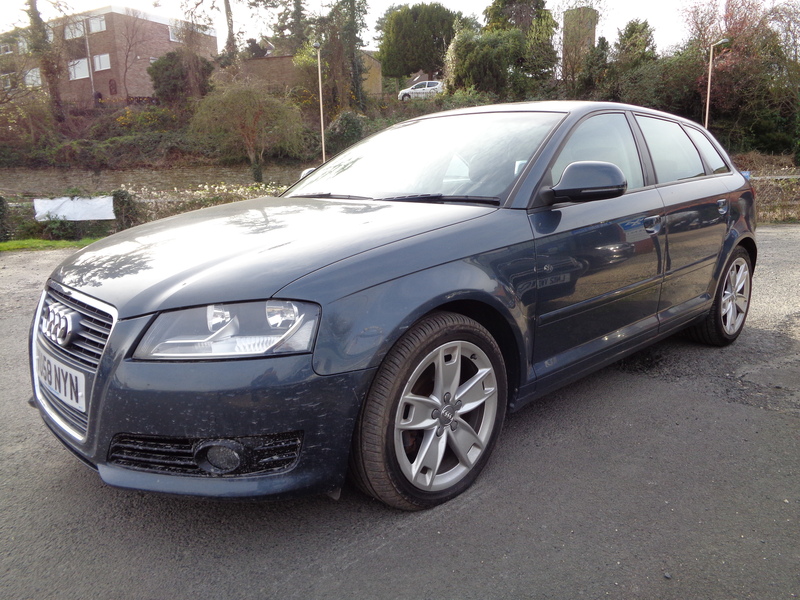 Only 77,000 miles with full service history (6 stamps)!! 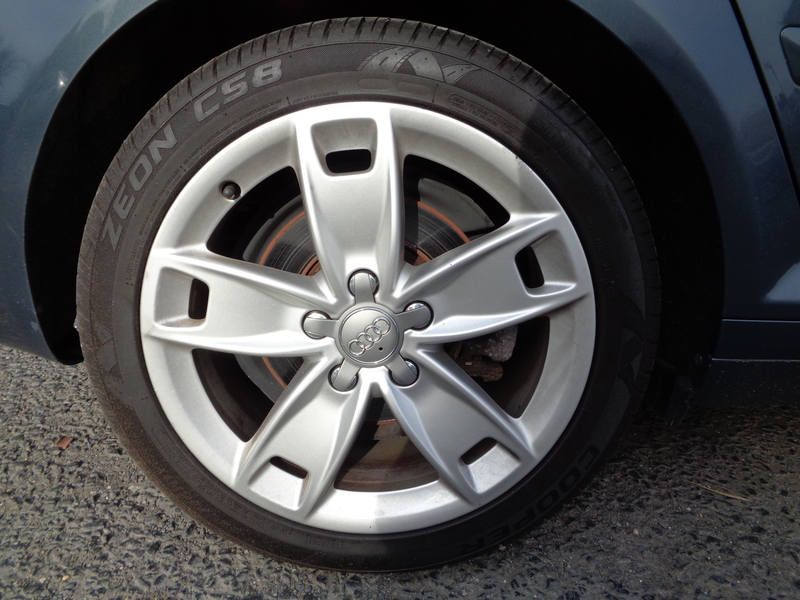 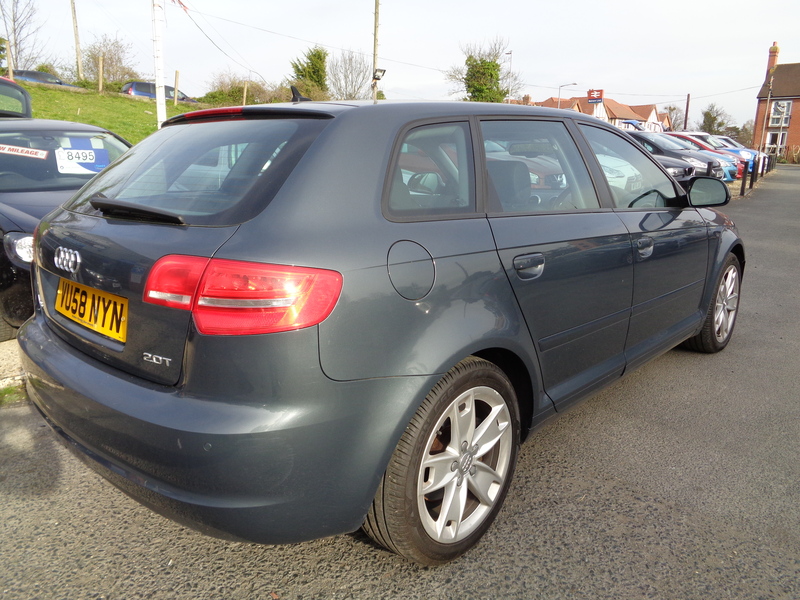 Rapid 200 bhp performance yet still capable of 39 mpg combined average fuel economy! 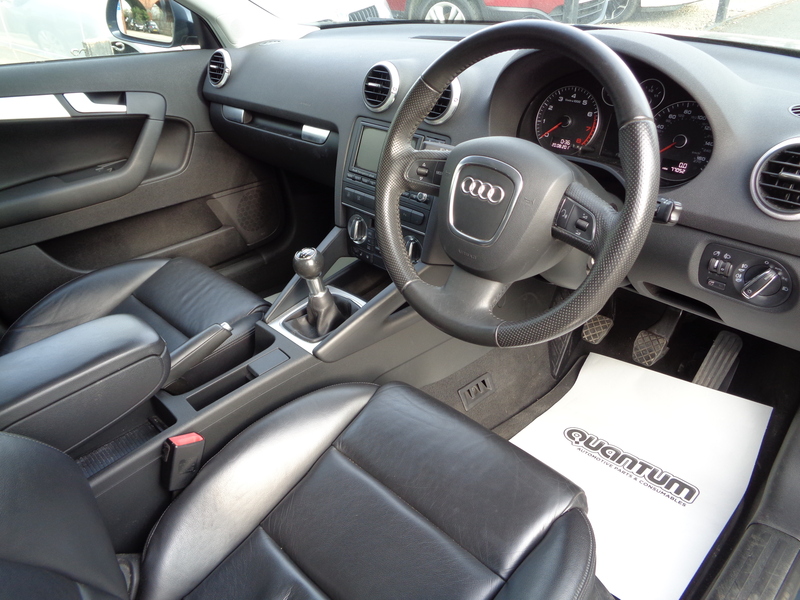 Huge spec with thousands of pounds worth of factory optional extras – dual zone climate control air conditioning, 17 inch “5 spoke Star Design” alloy wheels, electric windows all round, front and rear parking sensors (£525 extra), automatic headlights and wipers plus auto dimming interior and exterior mirrors (£325 extra), full black Vienna leather upholstery (£1,000 extra), heated front seats (£250 extra), remote central locking, Audi Navigation Plus DVD satellite navigation system with colour screen and twin SD card slots (£1,650 extra), GSM mobile telephone preparation (£385 extra), remote control RDS stereo with glovebox mounted 6CD changer (£325 extra) and auxiliary MP3 connector socket. 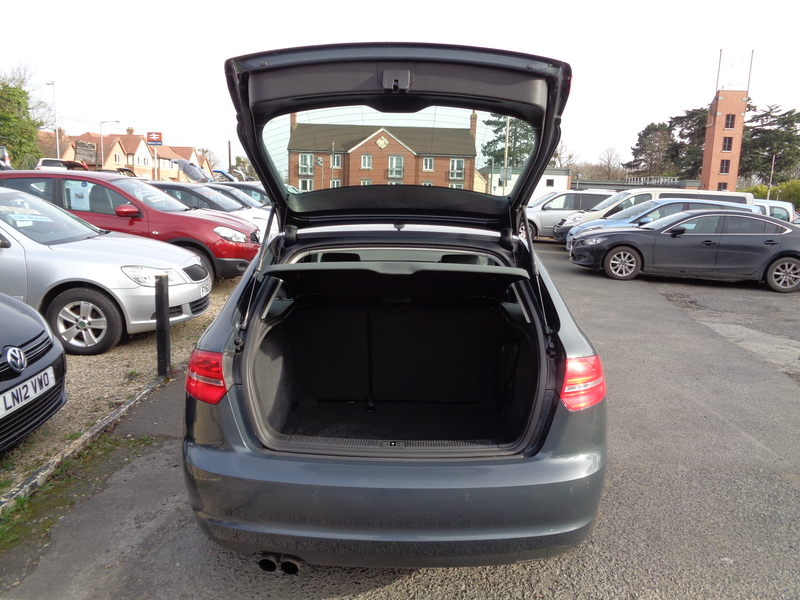 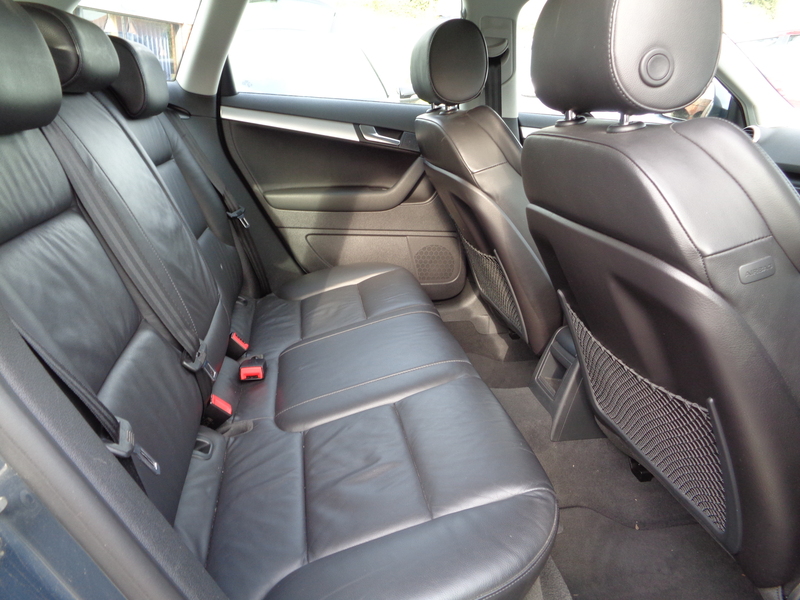 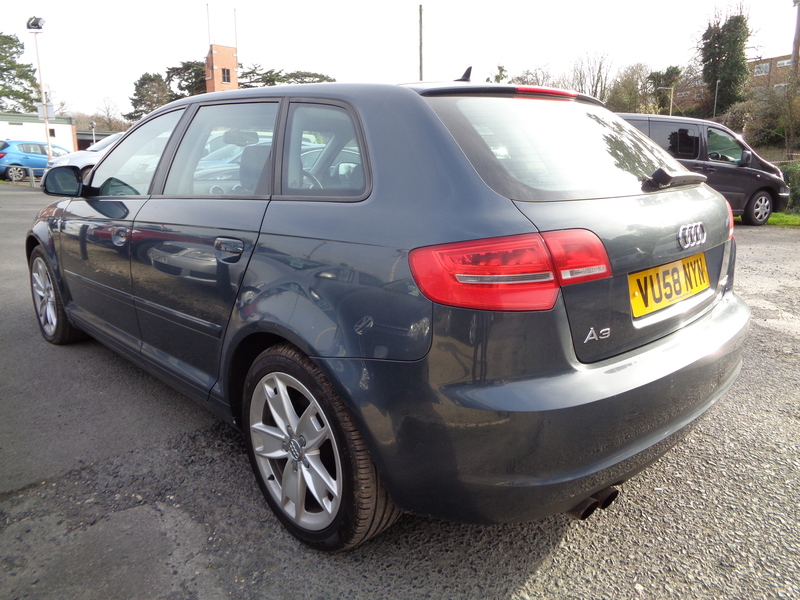 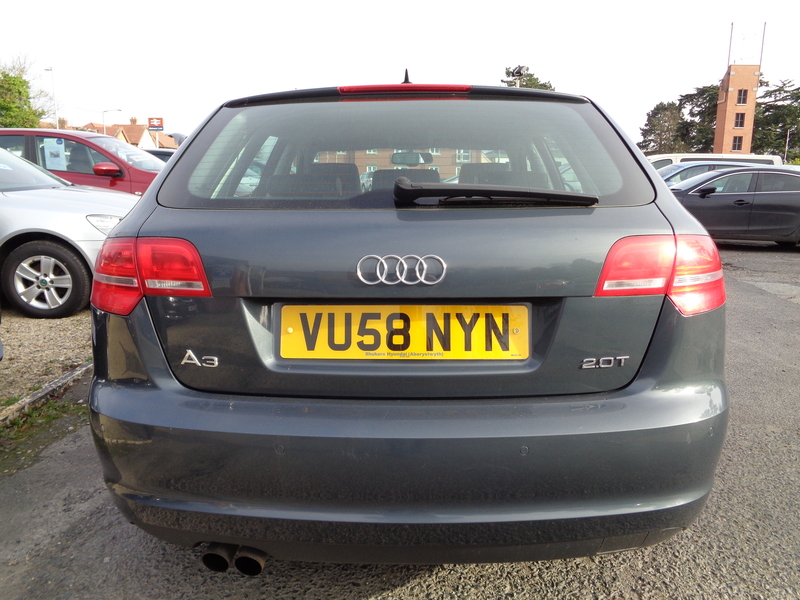 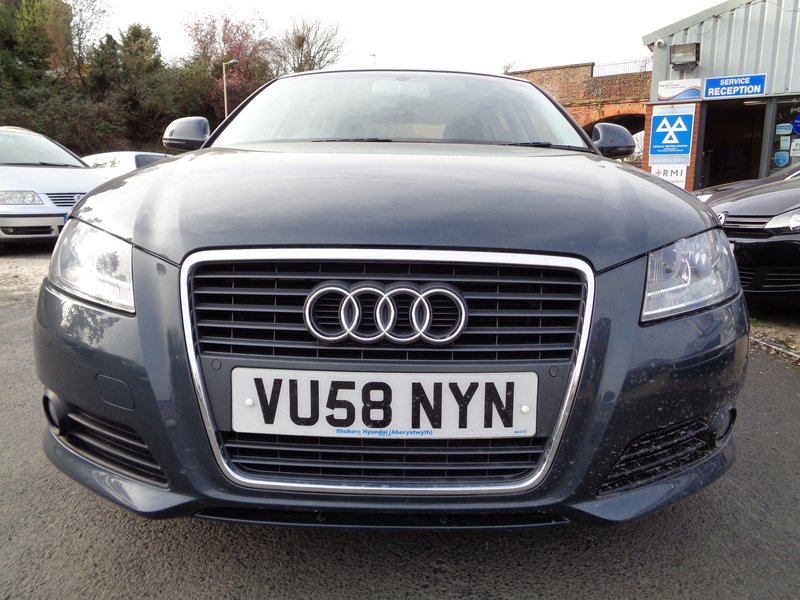 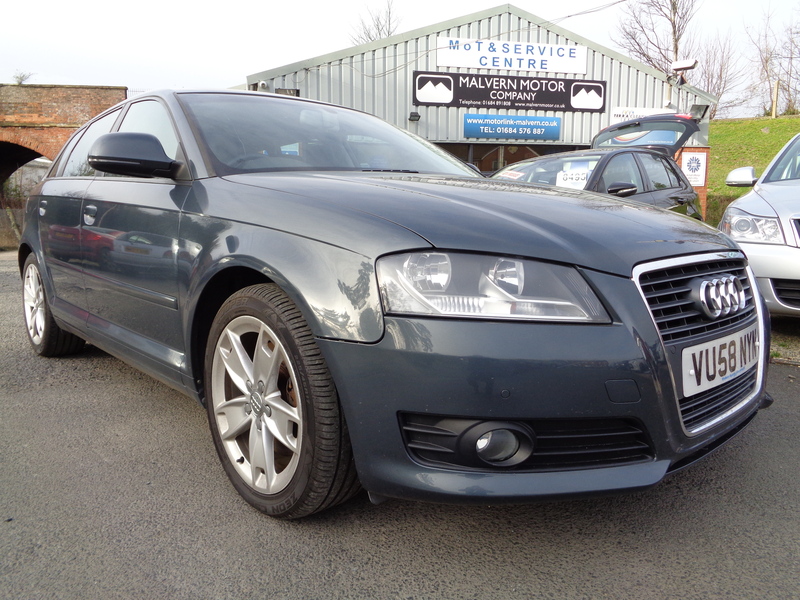 This lovely A3 Sportback has just arrived in stock, full description to follow as soon as possible.